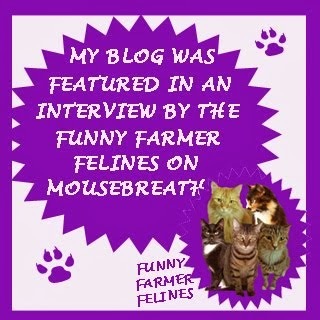 My very first interview is with Hitchcock, the feline star of Kay Finch's brand new Bad Luck Cat mystery series. Mommy and I loved this book SO much and just know it's going to be a huge bestseller. Mudpie: Welcome Hitchcock! Thank you so much for taking the time to chat with me today. Could you start by telling us a little about yourself and how you came to live with Sabrina? Hitchcock: Well, I was hanging out with the rest of the strays in Lavender, Texas, usually around the back door at McKetta's Barbeque. They throw away some delicious leftovers at that place. I mean, who needs Meow Mix or even Science Diet when you can chow down on honest-to-goodness Texas brisket and smoked chicken? One day, I heard customers talking about this human who moved to Lavender. They said she writes books, and I wondered if she might put me in a book. I mean, I'm a really good character, know what I mean? So I followed her home one day, and it turns out she lives in this really cool cottage - it's called the Monte Carlo cottage - on the banks of the Glidden River. One look at the place, at her, and I knew I was home. My Mommy loves your name because she is a huge Alfred Hitchcock fan! What was the inspiration for your name? My favorite human, Sabrina, writes mystery novels. The best books have a lot of suspense, she told me, and for some reason unknown to me she was able to write a lot better on the days when I sat on the window sill and watched her write. She was excited when she said that she was going to call me Hitchcock because I added suspense to her writing. Who am I to argue with that logic? What is all this silliness about with humans' fear of black cats??? You aren't really a bad luck cat, are you? For crying out loud, I am not the legendary Bad Luck Cat. Maybe I look like this legendary cat. I guess he existed at some point in time because EVERYONE seems to believe the legend. I'm only five years old, so there's no possible way I could know for sure if this legend they're talking about truly existed back in the day or if he caused his share of bad luck. If he did, then it was just a fluke, because black cats are NOT BAD LUCK. Truly. 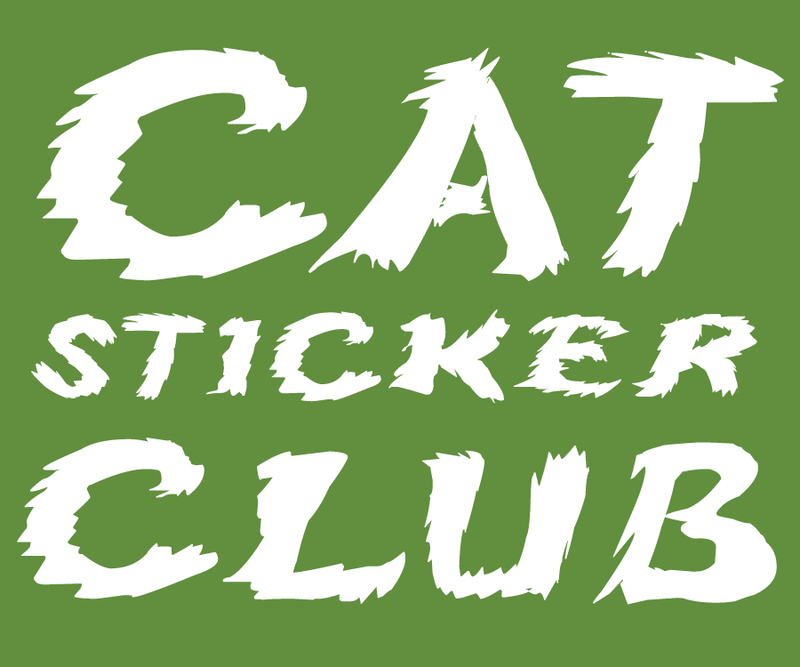 Tell us about your first adventure with Sabrina, Black Cat Crossing. Poor Sabrina, bless her heart. She spends so much time worrying about me and the local yay-hoos who think they need to trap me and take me to another county to keep the town safe, when what she needs to be doing is finding out who really killed Aunt Rowe's nasty cousin Bobby Joe Flowers. God and everybody knows there are plenty of people who wanted to see the guy go away for good. Too bad Aunt Rowe was one of them. Listening to the old gal, I can't say whether she did the deed or not, but Sabrina is bound and determined to get to the bottom of the mystery and I'll help her however I can. Do you have any special abilities that help Sabrina with her mystery solving? With all modesty aside, I am smarter than the average cat, but I don't have any special powers. I'm a tricky cat, though, and I'm fast. I can slip in and out of tight spaces in the time it takes you to blink, so it's hard for the average human to know when I'm coming or going. Aunt Rowe and her friends are chatting about performing in the local rodeo. They sound serious, but I can't imagine these ladies doing anything more active than making a casserole. I'm not mentioning this to Sabrina...yet. She has enough on her mind - daydreaming about that hunky game warden, Luke Griffin, and steering clear of Deputy Patricia Rosales who has a jealous streak the width of Texas. Watching what happens with these three? That’s what I call suspense. Mrreow. The first time I saw the cover of this book, with the little black cat and the cozy thatched cottage, I wished I could find a way to transport myself into the scene. 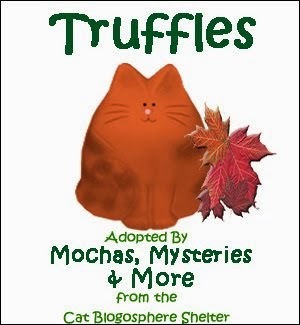 This first book in the Bad Luck Cat mystery series is going on my list of all-time favorite cat cozies, and I can only hope that it's destined to be a long-running series. Sabrina returns to Lavender, TX, to help her recently injured Aunt Rowe run the vacation cottages that she owns. It's also the purr-fect place to finish writing the mystery novel she's been working on. Word on the street is that a local black cat has been bringing the town bad luck, but Sabrina knows that is pure nonsense. Then late one night the cat leads her to a dead body in the river behind one of the cottages. The victim is Rowe's cousin Bobby Joe Flowers, who she had recently quarreled with. He came to town claiming to have found out he's actually her brother, and therefore part owner of the cottages. This puts Rowe in the position of becoming the main suspect, but Bobby Joe had no shortage of enemies. When Sabrina discovers he died in the exact same location as another unsolved murder many years ago, she has a strong feeling the two crimes are related. She has her hands full trying to clear her name while at the same time on a very tight deadline to finish writing her book...her friend Tyanne has hooked her up with an agent! Luckily, she's not working alone, because her furry muse and new best friend Hitchcock the cat is right beside her every step of the way. Everything about this book is perfect, from the characters to the setting to the puzzling mystery. Sabrina is a woman after my own heart, an aspiring mystery writer and cat lover who feels a connection with Hitchcock from the moment their paths first cross. Her friend Tyanne owns a bookstore named Knead to Read, inspired by her two cats Zelda and Willis, and another town hotspot is Hot Stuff Coffee Shop. Don't you wish places that like that were in your town? Bad guys in Lavender had better watch out because Sabrina and Hitchcock are a team to be reckoned with! Thank you for a lovely interview, Mudpie. I enjoyed reading about Hitchcock and his life. 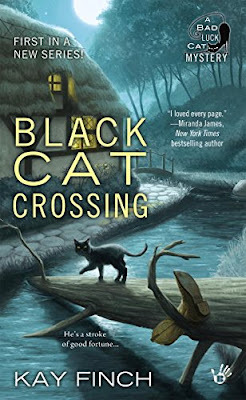 Black Cat Crossing sounds like a fun read, and I have added it to my TBR list. Thank you for the giveaway. If it has a cat in it, I want to read it! Love the cover, too. 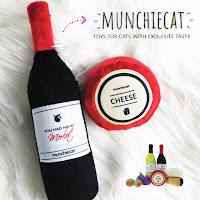 We love all of Mudpie's new images on the blog for your various features! 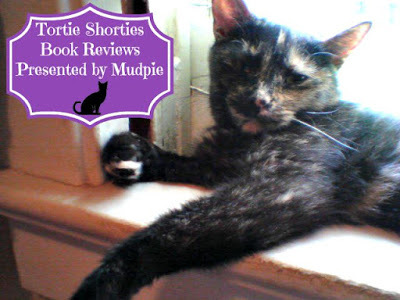 I love cozy mysteries, particularly those in which cats play a significant role—thanks for the chance to win a copy of this book! Great interview Mudpie! I am sure interested to read this new series! Sabrina and the town of Lavender sound like a great combination. Thanks! 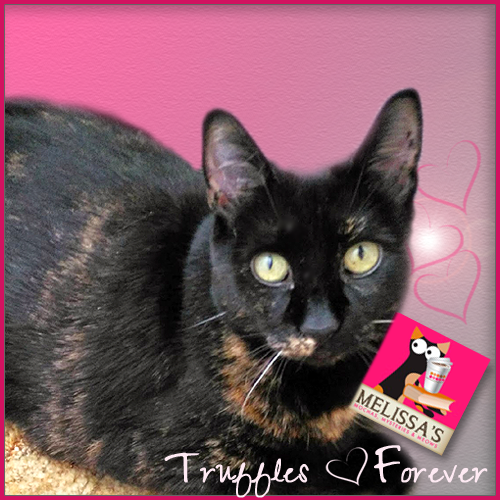 Purr-fect, Mudpie! You and Mommy make a great team, too! My copy of Black Cat Crossing is on order and I can hardly wait to read it. Great interview Mudpie - we're sure the book will be well received. I've found the following link between bad luck and black cats: those who worry about black cats bringing bad luck will miss the opportunity to bond with some excellent pets, which would be bad luck indeed. Purr! Purr! I'll definitely have to read this one soon! I'm glad you enjoyed it so much :) You don't need to enter me into the giveaway since I have a copy. Excellent and articulate interview Mudpie! Yous is really stepping up! This sounds like a most excellent book! This does sound like an engaging cozy. I look forward to it. Yous did a gweat job on this innewview Mudpie. Concats. Sounds very innewestin'. 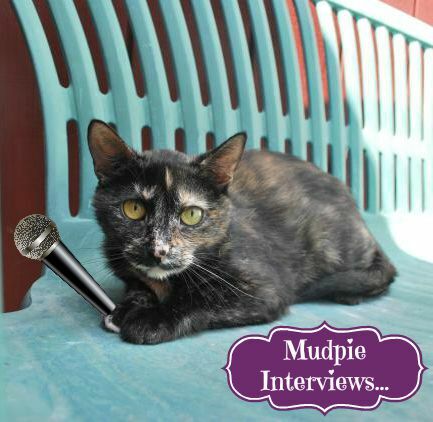 Congrats Mudpie on your first interview. Looks like you found a job. I am looking forword to reading this new series. Congrats Magpie ... I mean MUDPIE :-) on your first WONDERFUL interview. I already own the kindle and the paperback of this very special book because Kay Finch and I go WAY BACK in our face-to-face critique group in Houston. I miss her so much but from this interview you can tell what a FANTASTIC writer she is! I want to read this book! I love it! A cat that helps solve crimes; gotta read it! Great interview, Mudpie. I've got another book to add to my winter reading list. The list keep getting bigger. 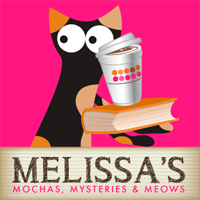 Love mysteries that have kitties as characters, that help solve the crimes. I just bought this book from the amazon jungle store. It was either pay $7.95 shipping, or add the book to my cart for about the same cost (and then gt free shipping), so I decided to get the book and try out a new author.